A Bed & Breakfast and Dining Experience in Hendersonville, NC. Stay with us at The Henderson for a truly authentic bed-and-breakfast experience! Located in Hendersonville, North Carolina, we combine old-time charm and respect for the past with the modern amenities that you know and love. Our building is designated a National Historic Building, reflecting a Classical Revival style popular in the 1920s, so you’ll appreciate the vintage architectural details throughout the hotel. Hendersonville is one of the most vibrant communities in Western North Carolina. Our hotel is situated in the heart of the city, close to popular restaurants, shops, museums, historical sites, attractions, and more! In the morning, you can enjoy a hike through the Blue Ridge Mountains or a leisurely stroll through the Henderson County Heritage Museum. 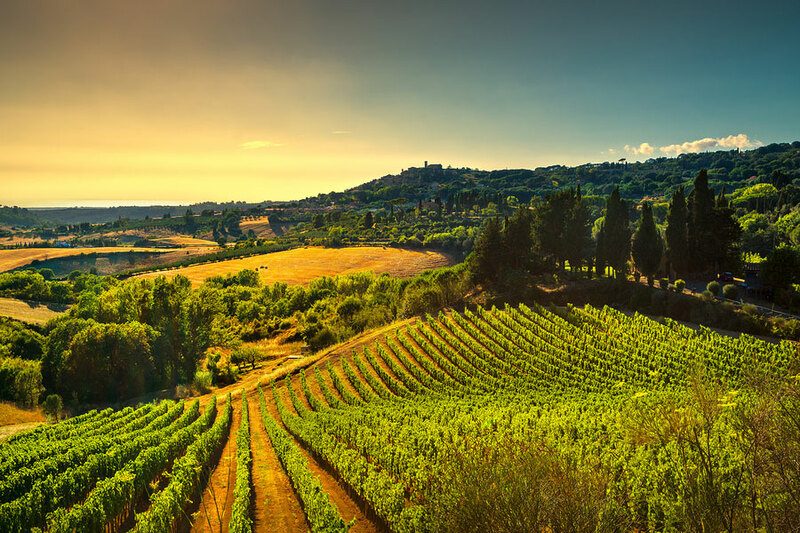 Later in the day, visit one of Hendersonville’s most popular vineyards, wineries, and breweries for an afternoon indulgence. You’ll never run out of things to do in our beautiful corner of the state. The Henderson offers the very best in hospitality. We serve gourmet breakfast every morning to our guests, a spread that often includes omelets, eggs benedict, waffles, and other delicious dishes. We also offer coffee and tea 24 hours a day. If you’re looking to have a truly unique fine-dining experience, visit our on-site restaurant and lounge, Harvey’s. 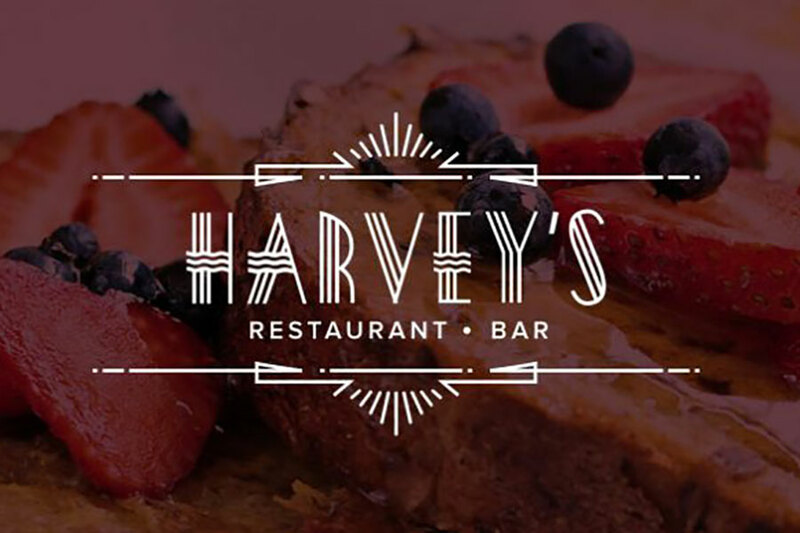 At Harvey’s, we serve gourmet small-plate meals with fresh ingredients and innovative takes on classic dishes. You can dine at Harvey’s for dinner and for Sunday brunch. Once you’re exhausted from a full day of exploring, come back to our hotel rooms and suites for a night of relaxation! We offer lodging to accommodate every guest, whether you’re traveling with family, friends, colleagues, or on your own. Our accommodations are a perfect blend of vintage taste and present-day essentials, such as free wireless internet, cable TV, air conditioning and heat, and more. For added relaxation, book our King Suite, which comes with a Jacuzzi bathtub and chair massager. If you plan on traveling with pets, you can reserve our pet-friendly room, which includes a separate, private entrance. Reserve a room with us today and see why The Henderson is the city’s most loved bed-and-breakfast hotel! Our 17-room bed and breakfast is the perfect place for families, groups of friends, solo adventurers, business travelers, and more. 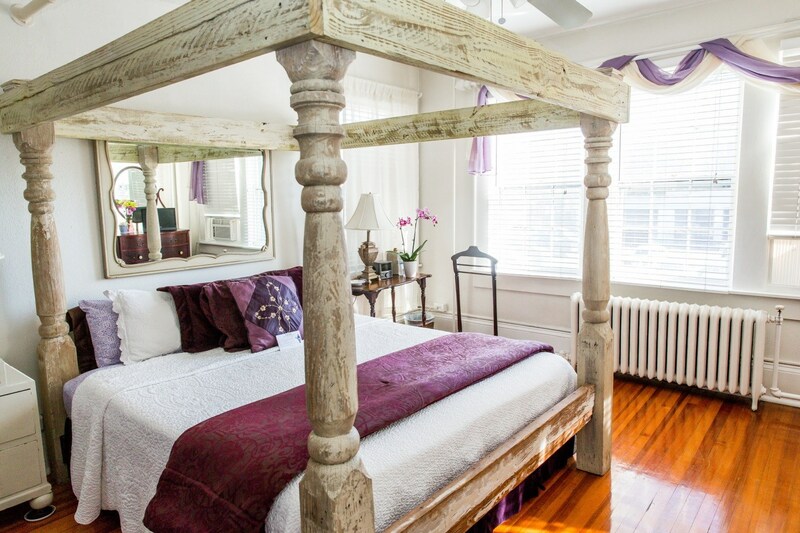 Built circa 1919 in a Classical Revivalist architectural style, you’ll love the vintage design and details at our inn. We are Hendersonville’s only downtown hotel that blends the romance and charm of the past with the comfort and convenience of modern amenities. The Henderson offers 14 unique Queen rooms for you to stay in! 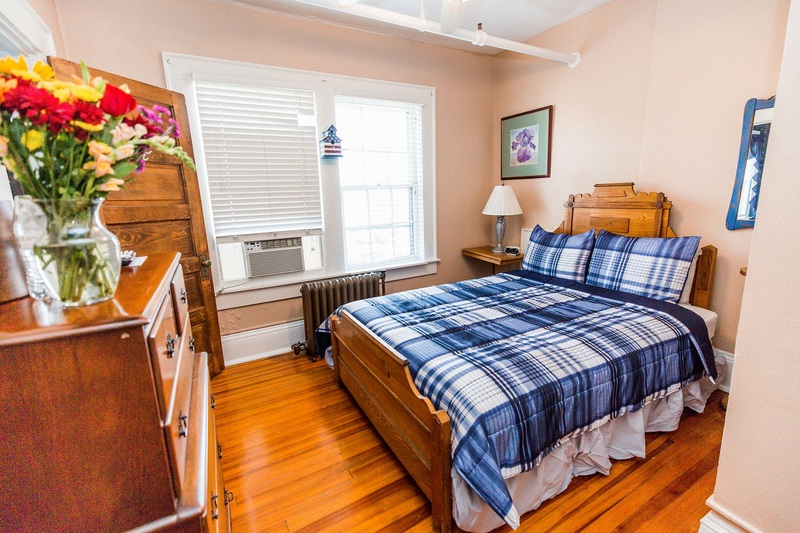 Choose from a variety of beautifully decorated and colorful accommodations during your visit to Hendersonville. At the Henderson, we offer two king rooms to choose from which come with gourmet breakfast every morning, 24-hour access to coffee and tea, and freshly baked cookies to satisfy your sweet tooth.